1994/08, CPR/Napinka Sub. Mile 34 with Cartwright sign and crossing symbol sign. 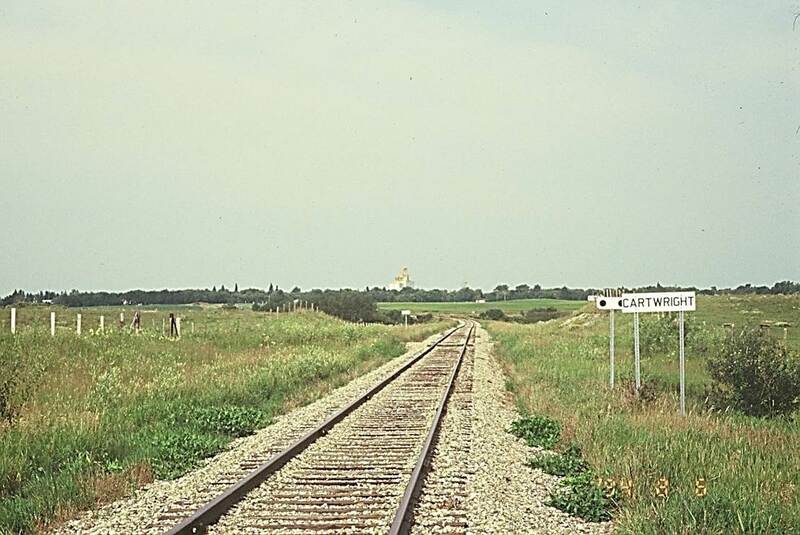 Cartwright in the distance. (Click on photo for larger image) Photo taken with a Minolta telephoto 70 – 210 mm zoom lens. © Text and Photos exclusive copyright of N. Froese, Author. 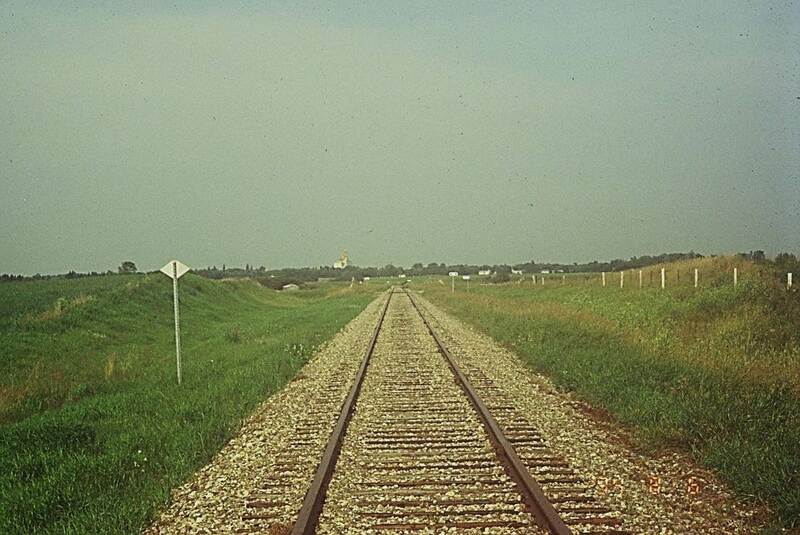 1994/08/06, CPR/Napinka Sub. Mile 33. 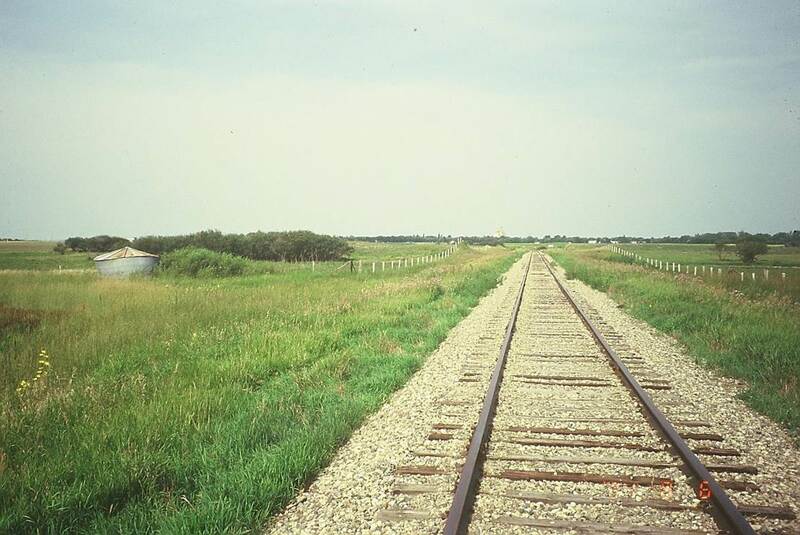 View – looking W. towards Cartwright. (Click on photo for larger image) Photo taken with a Minolta telephoto 70 – 210 mm zoom lens. © Text and Photos exclusive copyright of N. Froese, Author. 2011/05, CPR/Napinka Sub. 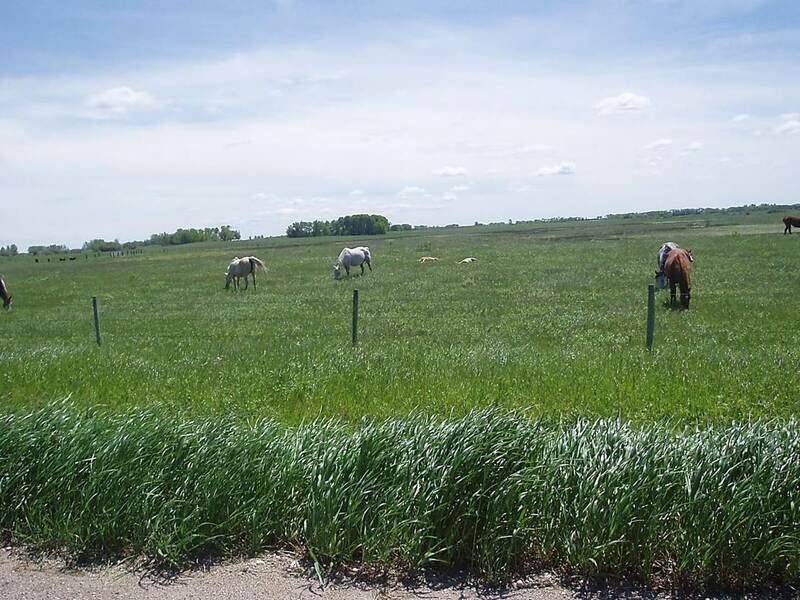 Mile 33 – looking S. Mares grazing and guarding their foals on spring pasture. © Text and Photos exclusive copyright of N. Froese, Author. 2011/05, CPR/Napinka Sub. Mile 33 on a wet May day. 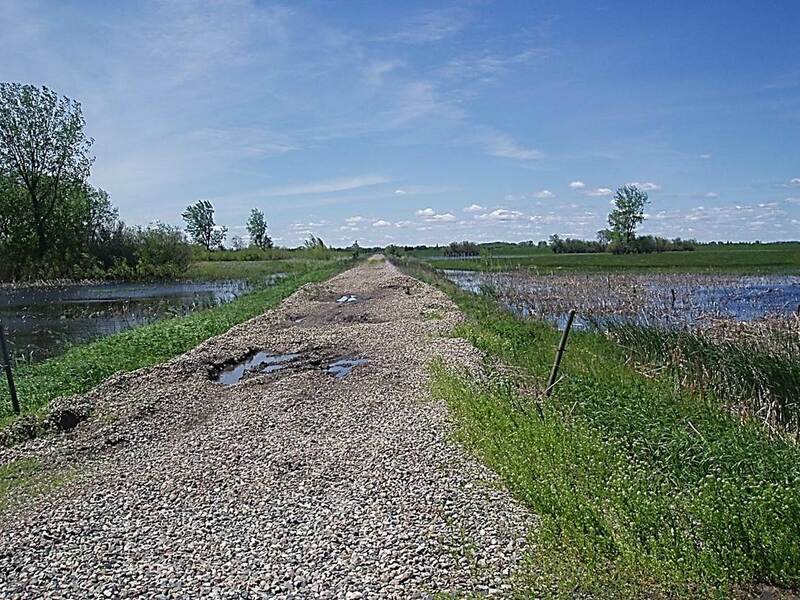 Track was removed in 2008 and rail bed is deteriorating from rain and neglect. View – looking W. © Text and Photos exclusive copyright of N. Froese, Author. 2011/05, Seventeen years later in the spring, same location. 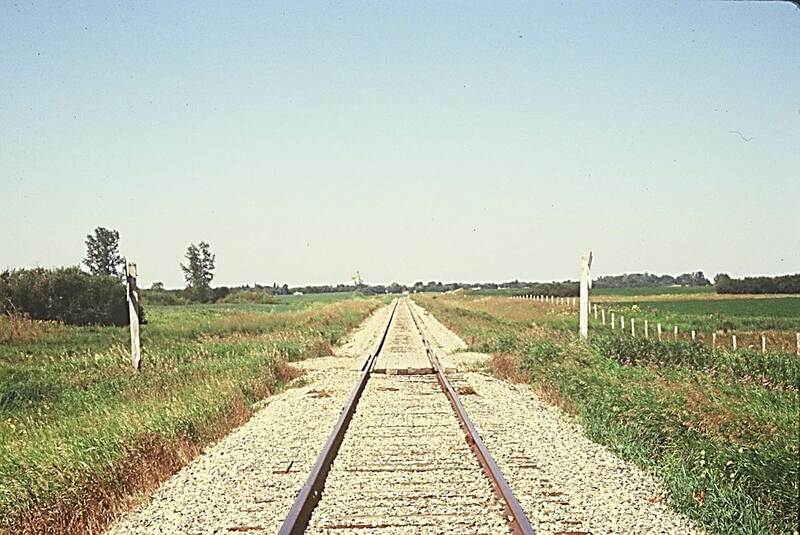 This photo was taken three years after the rails were salvaged in 2008. – CPR LaRiviere/Napinka Sub. Mile 33. 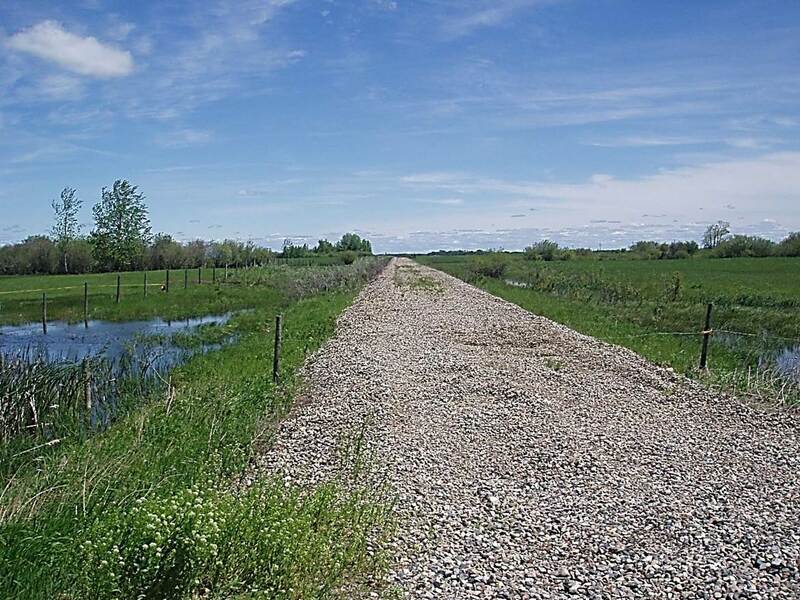 View looking E. on a wet spring season. © Text and Photos exclusive copyright of N. Froese, Author.